Earlier this year we told you about a rising number of Ford Mustang owners complaining of faulty manual transmissions that Ford can't seem to fix. Now U.S. safety regulators have opened a defect probe into 26,000 cars. Some reports allege incidents occurred while merging into high speed traffic and others allege that incidents occurred while turning left across oncoming traffic. Some complainants allege that the erratic shifting behavior almost caused a collision with adjacent vehicles. No crashes or injuries have been reported to NHTSA from the transmissions. While a NHTSA preliminary investigation won't automatically lead to a recall, it will force Ford to tell NHTSA how widespread the problem is, and what steps if any Ford may have taken to tackle it. One insider gave us a possible explanation blaming Ford's efforts to save money by using an older design of Getrag transmission. That design had a drawback - a gear rattle, which Ford engineers quieted by requiring a thicker transmission fluid. Except the thicker fluid causes some of the gears to slip, creating extra wear and missed or notchy shifting. On top of those problems, some of the bolts holding the clutch can loosen because Ford didn't specify bolt thread locker. Ford has switched back to a different transmission fluid, but that makes the rattle come back. 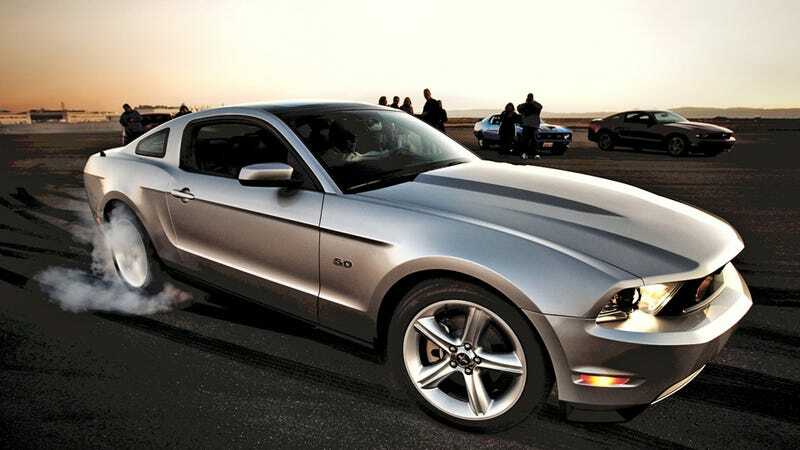 While Ford has said it was working with customers, some Mustang owners have been told by Ford that noisy or notchy shifting is just how the transmissions are supposed to work. That's one way to fix the problem.